Are you looking for a fun, new, healthy hobby that might transform your life or a special way to spend time with your partner? Then why not try Salsa or Bachata Dancing? Partner dancing is so much fun!! Your First Class is FREE! Grab your session on the right. Choosing a first style - There are many style options, the most common being Beginner's Latin. Partners - You'll dance with many people each class, so bringing a partner is totally optional. However if you are not keen to change partners thats not a problem. Timing - Start at the first 2 weeks of term only . It's good for your health!! Strength workout - Learning to dance is fun & works all your core muscle groups such as your abs, hips, arms and legs. Avoid the Gym - Latin dancing is a fun way to burn calories and tone your muscles, and it's a lot more fun than going to a gym!! Lose Weight - People frequently tell us how they have lost weight since taking up dancing!! Feel great - Any good exercise (like dancing!) increases a person's endorphins, the feel-good hormones, so no wonder dancing salsa proves to be so much fun. Break the TV cycle - If you are like most office workers, labourers, teachers etc, you’re probably trapped in a long cycle of working all day and then going home to watch TV. You need to get out of that cycle now!! ​Great friends & even partners meet here - Whether you're looking for someone special or just want to make a lot of great friends, salsa is a great way to do that! 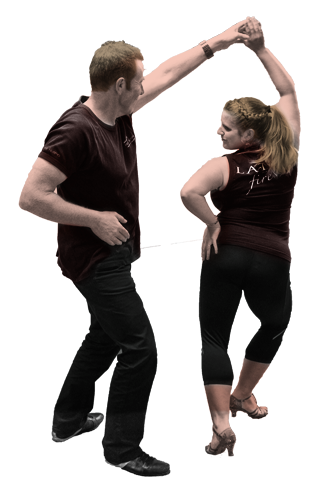 Partner activity - We have both group dance classes and social dancing nights suitable for beginners - it's inevitable that you'll get to meet other salsa dancers, as it's a partner sport where you get to dance with lots of different people. International Style - Salsa is an international dance style that you can take all around the world with you. You don't need to know the language to have a great time when you know how to dance with the locals! Social events - We like to involve our students in regular social events, eg Salsa at French Farm, Salsa at Cargo Bar & other fun nights out!! Be able to take the stage - ​Dance helps to build your confidence and self-esteem while joining a fun social group of other people! And if you want to take it to that higher level, there is no bigger confidence booster than getting on stage in front of hundreds of people and dancing your heart out!! Feel important & belong - We all come from different walks of life but we all like to feel important and have a feeling of belonging. Enjoy parties - Knowing how to dance makes major life events much more fun! Enjoy the next wedding or other such party you attend without the embarrassment that can come with not knowing how to dance. Lose the second left foot - How many people say they have ‘2 left feet’? There are still a lot of people, especially men, who are hesitant to start salsa dancing. We are here to show you, you can dance and will help you get rid of that insecurity in no time!! Drink bottles - Please bring a drink bottle - you'll need it! It's FREE - Your first beginner class is free, so there are no excuses - Sign up to learn to dance today!